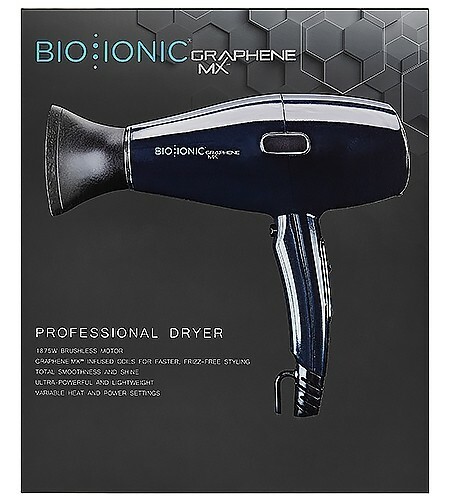 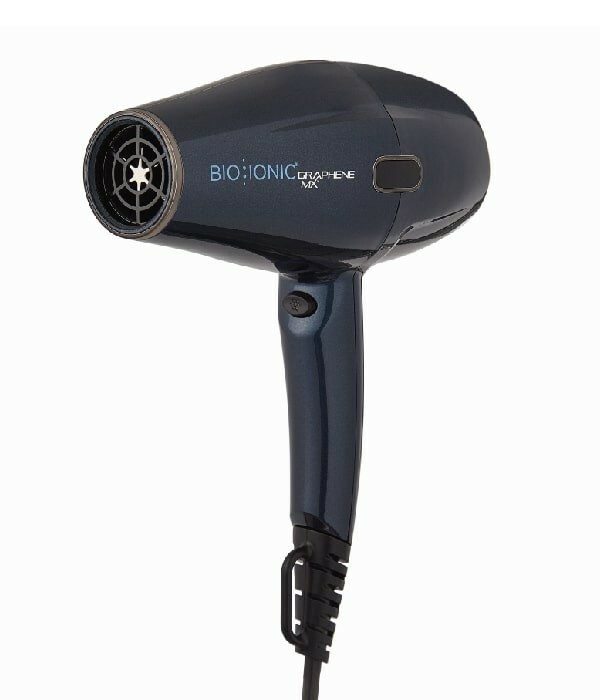 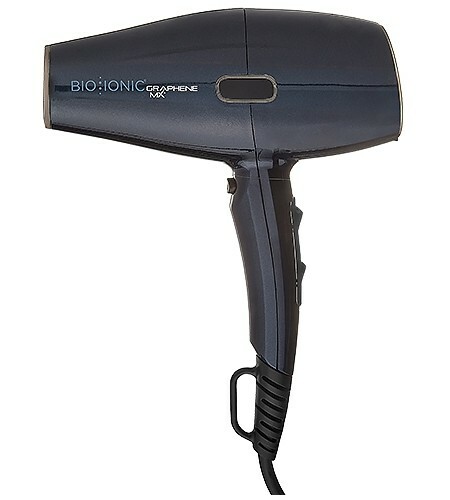 The Bio Ionic Graphene MX Professional Dryer with an 1875 watts brushless motor dries hair faster and with more power for the smoothest, shiniest styles. 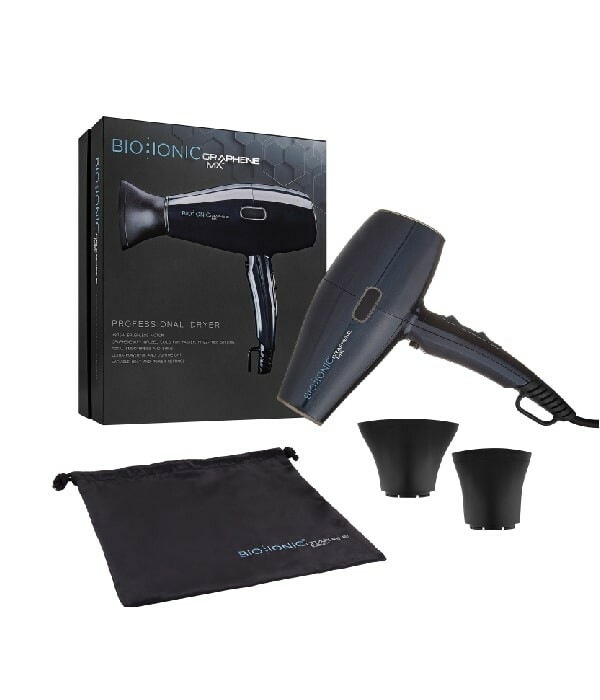 Infused into the coils, the GrapheneMX™ is a proprietary complex of natural minerals and Graphene, the most effective heat conductor and ion-generator that delivery fast styling power and exceptional frizz control. 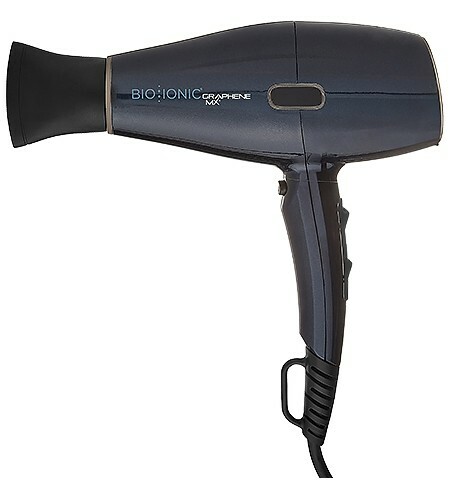 The natural minerals in the GrapheneMX™ complex penetrate the hair for superior conditioning, smoothness and shine as you create the looks you love.